I went to bed on Monday night with a Christmas Eve-type feeling because that’s the feeling I get the night before the Yankees’ first postseason game. That’s the feeling I haven’t gotten in three years. All of the hours spent watching, writing, talking, reading and listening about this team all makes it worth it on Tuesday night. Well, that is if the Yankees win. My confidence level for the wild-card game isn’t good. The Yankees will face the one pitcher (outside of 2009-2010 Cliff Lee showing up via the 4 train in the Bronx again) that I didn’t want them to face. They will face Cliff Lee 2.0, a pitcher who has dominated and beaten them twice without allowing a run in 16 innings this season. 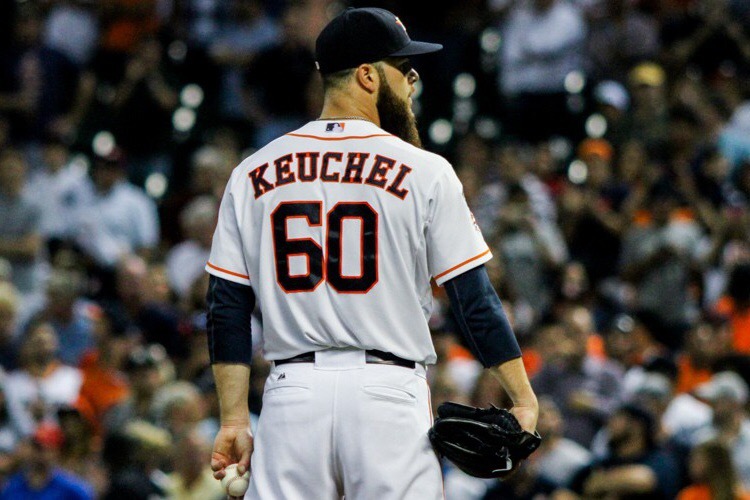 The only glimmer of hope in beating Dallas Keuchel is that he’s going to be pitching on three days rest for the first time in his professional career. Outside of that, the only positive I can get out of the Yankees and their left-handed heavy lineup against the best left-handed in the American League is looking at his line from Sept. 16 against Texas. 4.2 IP, 11 H, 9 R, 9 ER, 0 BB, 5 K, 3 HR. I’m not sure what happened that day. I have no idea how Keuchel gave up 11 hits or nine runs or three home runs or how left-handed hitters Rougned Odor and Prince Fielder hit home runs off of him. That game, nearly three weeks ago, is the only thing keeping me from feeling any less confident about this game than I already do. Masahiro Tanaka is going to have to be perfect or close to it on Tuesday night. I would gladly sign up for two runs against Keuchel right now and that means one run against Tanaka to hand the ball to the bullpen and let Dellin Betances and Andrew Miller get this season to the ALDS. It took two months of bad baseball for the Yankees to end up in this spot when they had a seven-game divison lead (and eight-game lead over the Blue Jays) the week of the trade deadline. They chose not to mortgage the future of the team for a run this season, watched the Blue Jays completely turn over their roster for the better and run away with the division, settled for a wild-card berth and backed into the first wild-card spot in the most depressing way possible. None of that matters now. What matters is one game to extend the season and to get to where this team would be pre-2012 in the old playoff format: in the ALDS. I wasn’t a fan of the new postseason format when it was implemented and am still not today. The only thing the new format has done for Yankees is given us a few extra “meaningful” games in 2013 and 2014, which were just a tease to get excited about two teams we all knew weren’t going anywhere. And now all it’s gotten us is a one-game playoff against the Yankees’ most-feared pitcher. Maybe someday the second wild card will actually benefit the Yankees and be the reason they reached the postseason, but in four years it hasn’t and this year it hurts them, so I’m still against it. There’s a good chance the Yankees wouldn’t be in this spot if they never let Chris Capuano start three games in May and didn’t let Stephen Drew and Brendan Ryan get five months of at-bats that should have gone to Rob Refsnyder. They likely wouldn’t be in this spot if Joe Girardi didn’t keep handing the ball to Esmil Rogers or turn to Branden Pinder and Caleb Cotham, or think it was 2009 or 2010 when he would call on Andrew Bailey. But they are in this spot and now they have to get out of it. Two months of being a .500 baseball team put the Yankees in this spot though on Tuesday night they have the chance to erase questionable managerial and front office moves and the decision to stand pat (aside from acquiring Dustin Ackley) at the trade deadline. They have the chance to make everyone forget about their horrible August and September and their embarrassing finish. They have the chance to win their first playoff game at Yankee Stadium since Game 5 of the 2012 ALDS and get back to the ALDS for the first time since that season. They have a chance to begin the kind of run the Royals went on last season and go to Kansas City to continue that run. The Yankees have a chance to change how this season will be remembered with a win on Tuesday night. But to do so, they will have to get through Dallas Keuchel.